– On October 1st, three children were killed in a landmine explosion near the conflict zone in eastern Ukraine. Earlier this year, the UN stated that two million Ukrainians were affected by landmines due to the military actions in the east, threatening ordinary people in their everyday activities. According to a UN official, landmines or unexploded ordnances have killed or injured over 1,600 civilians since 2014. – On October 3rd, Ukraine’s National Anti-Corruption Bureau pressed criminal charges against Serhii Semochko, the Deputy Head of the Foreign Intelligence Service of Ukraine, following a journalist investigation revealing the official’s illegal assets. The story that aired on October 1st said Semochko’s family owned luxury villas with a total value of USD 8 million and a private helicopter, and his close relatives had Russian passports in addition to their Ukrainian ones. It also claimed that the top intelligence official was involved in corrupt activities in the pharmaceutical sphere, which resulted in a profound shortage of certain medications in Ukraine. The full report about Serhii Semochko, English subtitles available. Semochko vehemently denied the allegations, saying he would answer any questions the law enforcement authorities had, but only in a way “that would prevent the disclosure of information relating to the activities of the Ukrainian Security Service and the Foreign Intelligence Service.” On October 16th, he admitted his wife indeed owned a high-priced house, but denied any wrongdoing. The journalistic investigation and the follow-up led to public outrage against the country’s level of corruption. In 2017, Ukraine was ranked 130th out of 190 countries on Transparency International’s Corruption Perception Index, although slightly improving its position compared to previous years. – On October 4th, Ukrainian parliament preliminarily passed a draft law regulating the use of the state language. The bill provides new tough language quotas in TV and radio broadcasting, mass media, and book publishing, while specifying the exclusive position of the Ukrainian language in education, state governance and public events. In a long tradition of debating Ukrainian language policy, the bill raised some controversies: its proponents cheered at the idea that it would solidify Ukrainian identity, while sceptics were concerned it seriously undermined the rights of ethnic minorities in the country. Ukraine’s education minister later stated the rights of children from ethnic minorities to study their respective languages were fully provided by the Law on Education. Nevertheless, as the bill awaits further consideration by the parliament before it is either adopted or rejected, a group of Hungarian, Romanian, and Bulgarian MEPs sent a letter of protest to the Ukrainian parliament chairman, as they were worried about the protection of minority rights (Read more about the Ukraine-Hungary row in our latest “What’s Up Hungary?”). To offer a different perspective, Brian Bonner, Chief Editor at Ukraine’s top English-language newspaper Kyiv Post, explained the pitfalls of the bill regarding media and English language media specifically. One of the requirements of the bill was for foreign-language media to simultaneously produce its Ukrainian version identical in content, which according to Bonner would be deadly to many media with scarce resources at their disposal. For more on this point, check out Josh Cohen’s Ukraine’s Language Bill Misses the Point. While implicitly targeting the Russian language, the October 4th draft law was still decidedly less straightforward than a decision of Zhytomyr Regional Council. On October 26th, its officials banned the public use of cultural products in Russian, such as movies, books, or songs. A similar ban was introduced in the Lviv Region in September, sparking criticism and confusion as to how it could possibly be implemented. – On October 5th, Oleh Sentsov, a Ukrainian film director serving his 20-year-long sentence in a Russian prison on politically motivated charges, ended his hunger strike that lasted 145 days. In his statement, Sentsov said he had to stop to avoid being force-fed by the prison staff. Originally from Crimea, in 2015 Sentsov was convicted by a Russian court for “plotting terrorist acts” against the de facto authorities on the annexed peninsula. 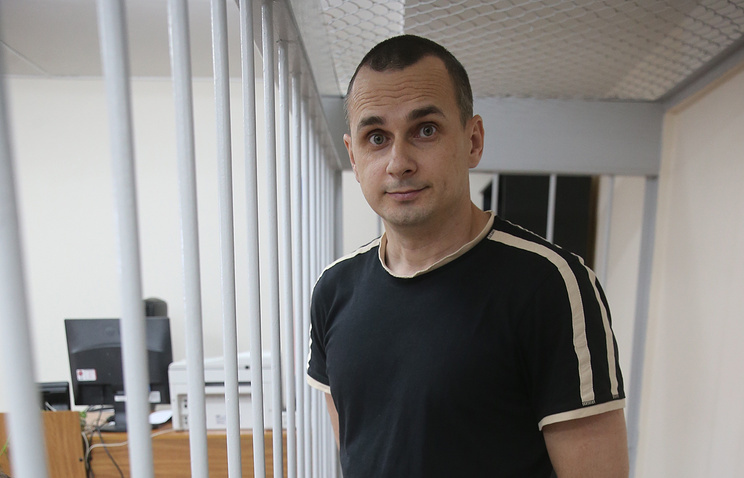 Sentsov went on a hunger strike on May 14, demanding release from Russian prisons of almost 70 Ukrainians he believes are held there illegally following sham trials. On October 25th, he was awarded European Parliament’s Sakharov Prize for Freedom of Thought. – In a tragic line of military-related incidents on October 9th, a series of explosions and a massive fire hit an ammunitions depot in northern Ukraine, prompting evacuation of some 12,000 locals. Negligence and sabotage were both named as possible reasons for the fire. In 2017, two similar incidents struck two other military depots, following which state inspections were launched and additional costs allocated to improve facilities across Ukraine. – On October 11th, the Ecumenical Patriarchate of Constantinople, the leading body among the Orthodox churches, announced it would proceed with giving an autocephalous, or independent, status to the Ukrainian Orthodox church. It also reinstated Ukrainian bishops who had been excommunicated by the pro-Russian Moscow Patriarchate. The process of acquiring an independent Orthodox church has been going on for some time in Ukraine, with a part of its believers wishing to distance themselves from the Russian Orthodox Church, who used to de facto have official authority over the Orthodox religious life in Ukraine. In response to Constantinople’s move, it cut ties with the Ecumenical Patriarchate on October 15th, threatening with a major schism in the Orthodox world. The militarization of the Sea of Azov, the body of water to the north-east of Crimea between Ukraine and Russia, became a widely discussed topic. Russia has increased its presence in the sea over the recent months, causing Ukraine to voice concerns. In addition, with Russia effectively controlling the entrance to the Azov Sea, the cases of its authorities detaining Ukrainian and foreign ships heading to Ukrainian ports significantly lowered Ukraine’s economic attractiveness. 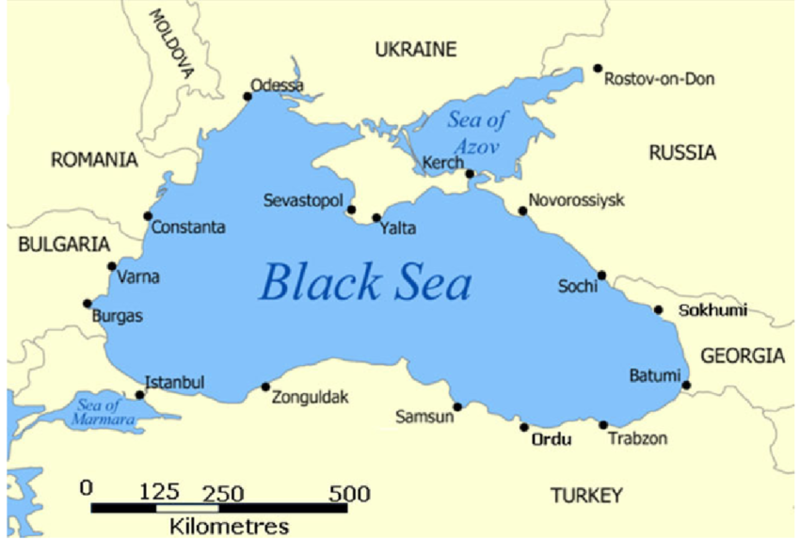 In response to the situation, on October 24th, NATO Secretary General Jens Stoltenberg urged Russia to respect freedom of navigation in the Azov Sea. On October 25th, the European Parliament passed a non-binding resolution to warn Russia against the economic “de facto blockade” in the Azov Sea. – On October 22nd, Russian President Vladimir Putin signed a decree authorizing economic sanctions against Ukrainian companies and individuals. 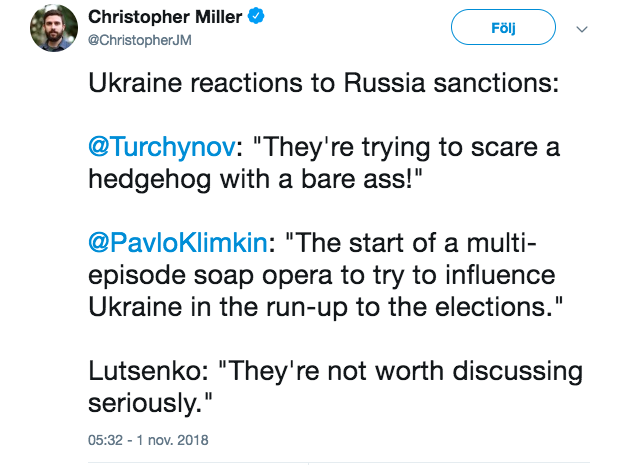 The move was presented as retaliatory in response to Ukraine’s “unfriendly actions” against Russian citizens, likely implying the sanctions against Russia’s tycoons, companies and officials that Ukraine has previously enacted following the Kremlin’s annexation of Crimea and its involvement in the eastern Ukrainian hostilities. The list of 322 individuals and 68 businesses targeted by the Kremlin’s sanctions was published on November 1st and featured political figures such as one of the main presidential contenders Yulia Tymoshenko, the Interior Minister Arsen Avakov, and the Security Service chief Vasyl Hrytsak. A place in the sanctions list means freezing financial assets and businesses in Russia; however, the reaction of some Ukrainians on the list was less serious than expected. Since 2014, Russia has been subjected to numerous economic sanctions from the EU and other western countries, and issued counter sanctions in return. A handy infographic by RFE/RL can help navigate through all Russia-related sanctions over the recent years. – On November 4th, the civic activist Kateryna Gandziuk died in a hospital after she was severely attacked with acid in July. Gandziuk was known for her work exposing corruption in her home city of Kherson, and her death prompted popular protests demanding for a fair investigation of the assault. Ukrainian Prosecutor General Yurii Lutsenko offered his resignation over Gandziuk’s murder; however, the parliament did not back it. The resignation move and its subsequent refusal by lawmakers has been called “a lie” by Mustafa Nayyem, an outspoken critic of Ukraine’s law enforcement officials, who suggested it had been a publicity stunt. Attacks on civic activists are not rare in Ukraine. Our recent story explores the way Ukraine’s civil protests alter our understanding of its political sphere.